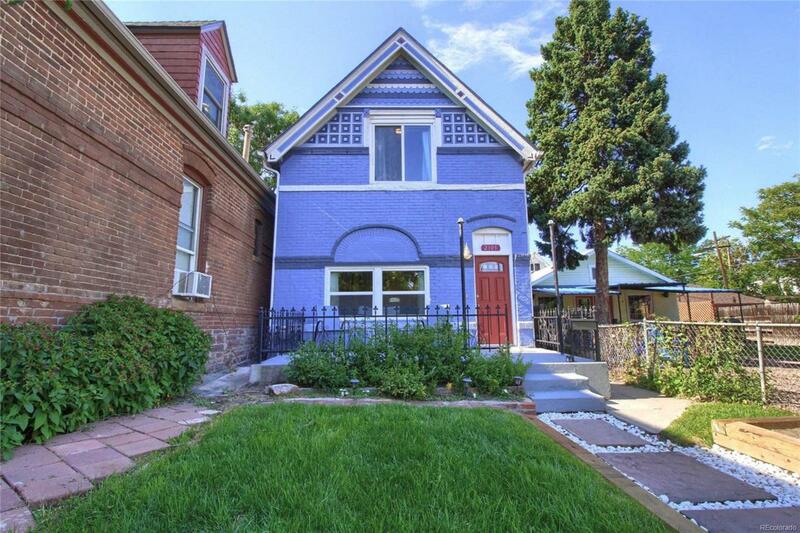 Charming Victorian 2 story in hot Highlands neighborhood within walking distance of great destinations and popular restaurants! New remodel with open floor plan, granite counters with breakfast bar and soft close white JK cabinets in kitchen with brand new stainless steel appliances. Engineered hardwood floors throughout over a replaced sub floor on the main level. New furnace, tankless hot water heater and central air conditioning. All new electric panel and wiring to new updated outlets and lighting. New double pane windows. Exterior restoration with gorgeous paint. Raised garden beds in front yard, with roses, fruit tree, mint, lilies and tulips in established garden and new sod. All work permitted through Denver. Parking available off alley in back, room to add garage. Home has been completely remodeled but still retains the feel of the era it was built with many original elements (fireplace, trim, exterior). This gorgeous abode could be your next home!